I've tried to give this more of a CAS look as I love this style, but I'm not very good at it. Why is it that other people's CAS cards look fabulous but mine just seem to look bare? I can't do CAS either - but neither can I do lots of embellishments! Love this image and the sentiment to go with it is perfect.Real pretty card. Gorgeous card Chrissie, I love this image. 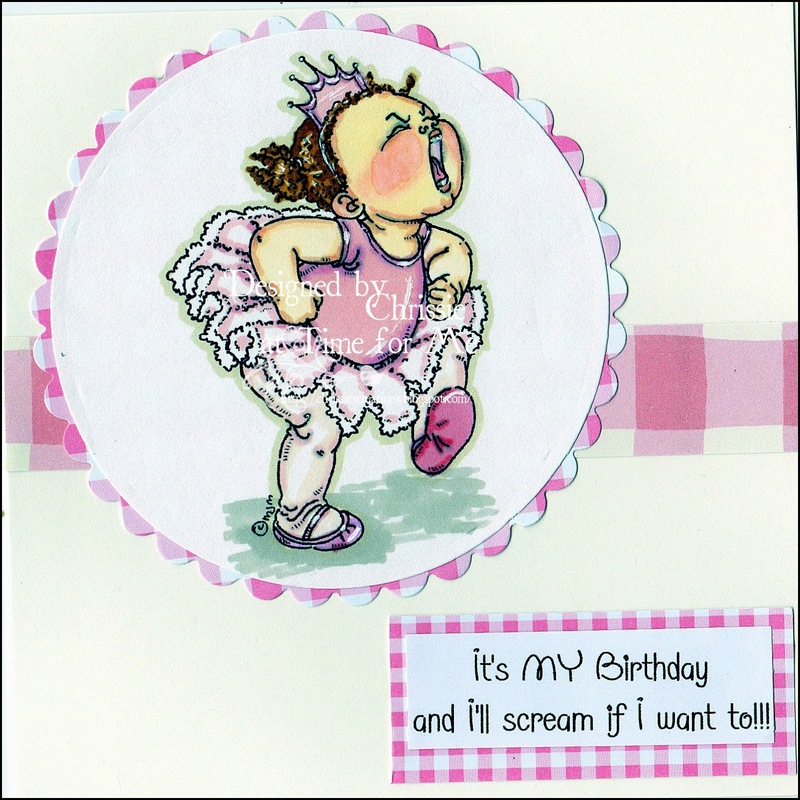 What a cute card Chrissie, this image is too fun and you chose the perfect sentiment for her!